Description: Prepare to be invaded. Running on March 22nd from 18:30 – 19:00 (server time), waves of monsters will be trying to take over. Level 40+ players who are up to the challenge can try to defeat the savage beasts. 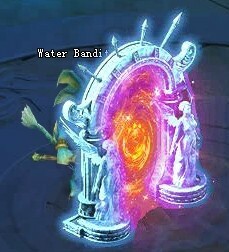 New waves will appear every six minutes, for a total of five waves. Rewards include Soul Shards, Demon Shards, Dragon Shards, EXP, and Sprite related items. Description: Make a wish and get valuable items. Each wish costs just 20 Gold - click the “Dream Lotto” event icon to get started. 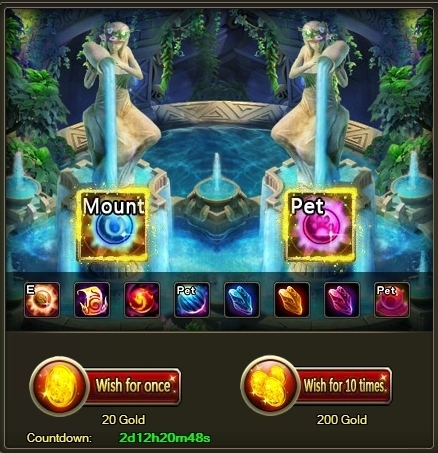 Items in the wish pool include: Mount Soul Essence, Pet Soul Essence, and more… Note: VIPs get a 20% discount!